Our High School students will have their Powder Puff Football Game next Tuesday! For more information, please email Kreaves@fbacademy.com. Registration for PK-8th grade FBA students is now OPEN! Our Rogers Run Pep Rally was exciting, and we are off to a great start. The PK-5th grade students can send their link to their mentors and the mentors can send that link to friends to help increase the pledge total for their mentees. Help us get pledges from all 50 states! Students will also experience an amazing character theme, CASTLE QUEST! This is an English castle theme all about being brave and living with character. On their quest to regain Bravemore Castle, students will learn the “SIX VIRTUES of a TRUE HERO” from a cast of colorful characters. This is going to be a great experience for all. More information will be sent soon for you to send to your family and friends. Also, all families are invited to come out and cheer on your student at the Fun Run! Thank you for your support! Volunteers are still needed to help with the carnival games. FBA High School students (or parents of those students) interested in receiving community service hours or if you would like to sponsor one of the special activities, please email Nadine Nemunaitis at nadinenem@hotmail.com. Any Elementary and/or Middle School parents are welcome to help as well. Come on out and cheer on the Saints at the FBA Homecoming Football Game against Dallas Covenant! Jordan Childs, Dale Hansen Scholar Athlete of the Week, October 15th! WFAA and Dale Hansen showcase North Texas high school seniors who have excelled in academics and athletics, as well as contribute to making their community a better place to live. Dale has been recognizing area athletes for over 20 years. 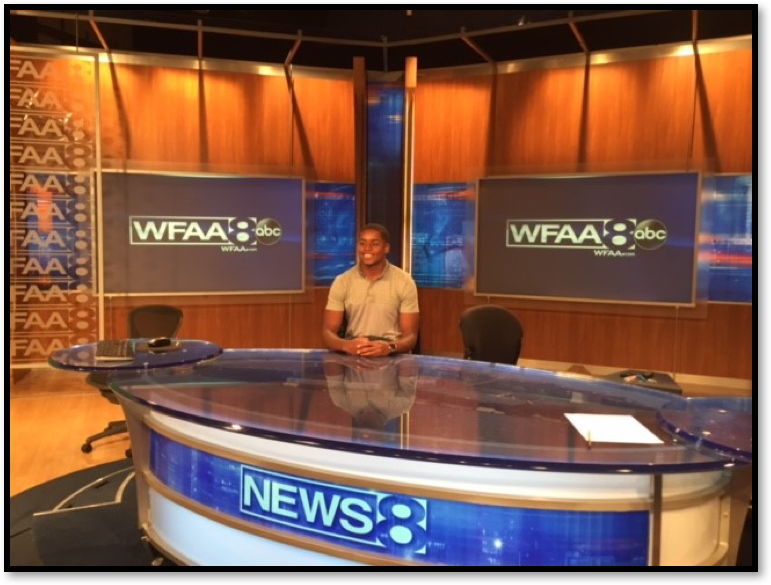 FBA Senior, Jordan Childs, was chosen for this honor and will be on the October 15th edition of the Scholar Athlete, airing Sunday nights at 10:35 pm on Dale Hansen’s Sports Special and on wfaa.com/scholarathlete. The 2017 – 2018 Box Tops Collection Challenge is underway! For those of you who are new to FBA, collecting Box Tops is a great way we can earn money for our school. All you have to do is purchase participating products and clip the pink box tops. Each Box Top is worth 10 cents. See www.boxtops4education.com for more information and details, as you wish. With this simple fundraising effort, we were able to raise approximately $700 for our school PTF funds last year! Participating is easy! Simply send the Box Tops to the school office, weekly, in a Ziploc bag and we will count them for you. Don’t forget that Middle School and High School students are also eligible to participate, or High School students can donate their Box Tops to their mentees to help their class win a party. The classroom with the most box tops collected will receive an ice cream party or class treat in November.